It is not a secret that renewable energy is the best kind of energy. Oil and gas industries are destined to die in not so far future. Countries that are centred around selling oil (and having more than 50% of budget revenues from selling raw resources to other countries) like Saudi Arabia and Russia are going to suffer if they do not adapt to continuously changing economic environment. To be honest, I think that Russian Federation will certainly be able to transition from raw resources economy to modern one. I already see that there is a number of industries where Russian companies are leading. Especially when we touch the topic of IT industry. Also, I would like to give you some information about the renewable energy in European Union. Did you know that share of renewable energy in the EU gross final energy consumption has risen to almost 17% in 2014 from about 7% in 2004? Sweden’s economy is powered with renewable energy on 54%. Latvia stands at 40%. Finland at 39%. Austria at 33%. This is the ever-changing environment we live in. Adopt or die. 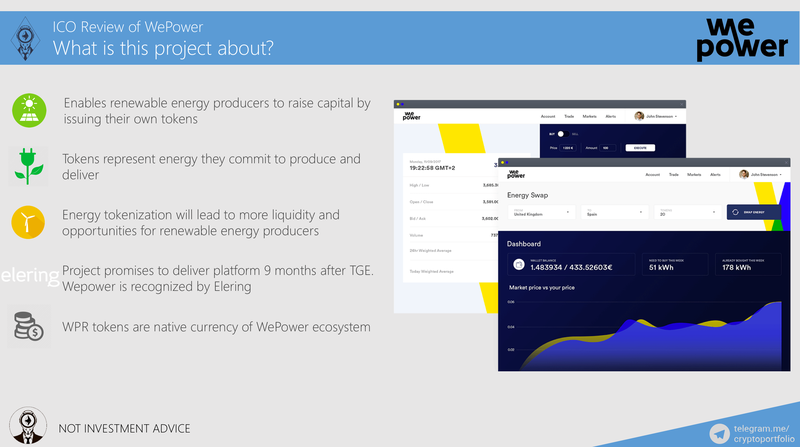 This is why WePower project is so attractive in my eyes. I see that renewable energy financing and energy market are going to play even bigger role in coming years. Let’s see what kind or problems are on renewable energy’s agenda right now. Lengthy investment process is considered to be one of the most critical problems of renewable energy business. What current investment process is like right now? 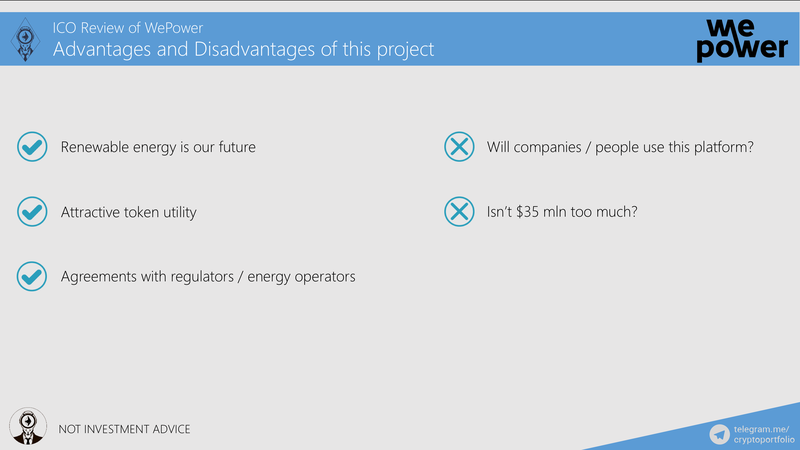 Also, currently there are two sides of problems in renewable energy industry. Investor and producer’s side. Investors experience lack of access to investments, complicated and expensive investment process, and limited transparency of investments. Producers experience lack of capital to develop projects, long and expensive capital acquisition from banks, and constant lack of funds. 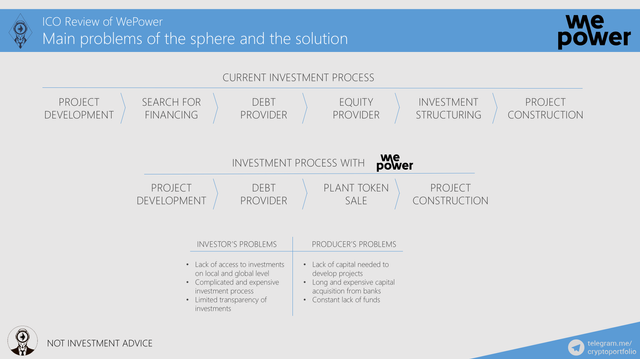 WePower is about to solve investors and producers’ problems. Let’s now see what the main idea of this project is. 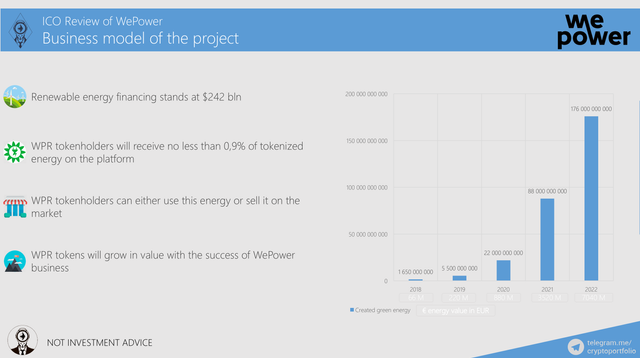 On the right part of Business model slide you can see the projection of the WePower. In 2018, they expect to create green energy with the value of over 66mln euros. By 2022 they expect to reach 7bln euros of generated energy on the platform. Currently, renewable energy financing stands at $242 bln. Recently it experienced a fall due to the more strict rules imposed with credit lines. 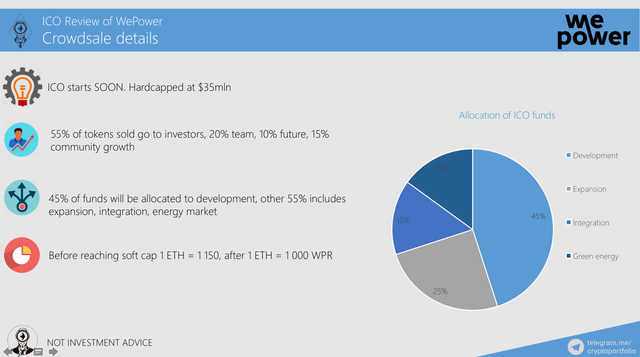 WPR tokenholders will receive no less than 0,9% of tokenized energy on the platform. That’s going to be a lot of money for investors if WePower manages to reach the projected numbers. WPR tokens will grow in value with the success of WePower business. 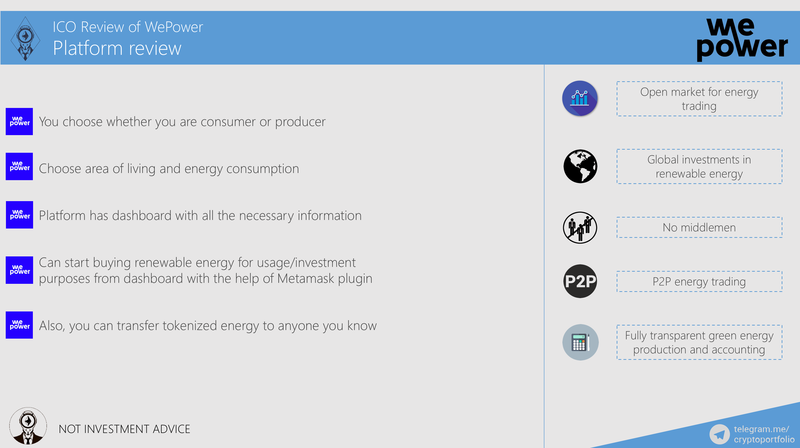 On the right part of the slide you can see all advantages of WePower platform. 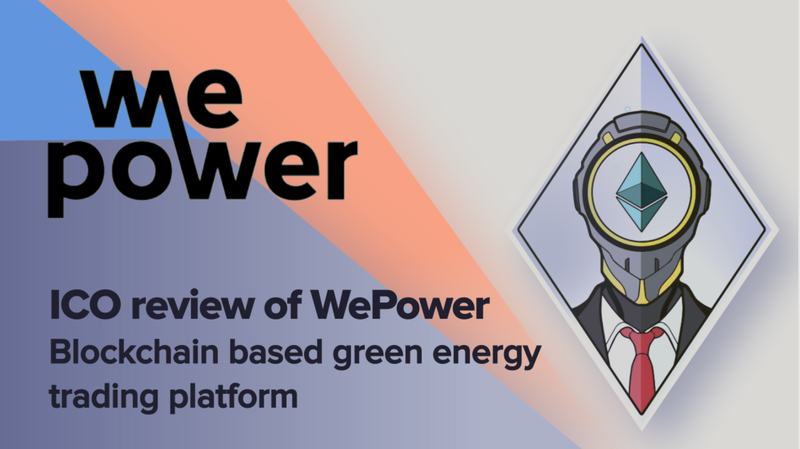 WePower has great video on how to use the platform, I will show you it while I cover how easily you can become user of the project’s platform. • Will companies / people use this platform?